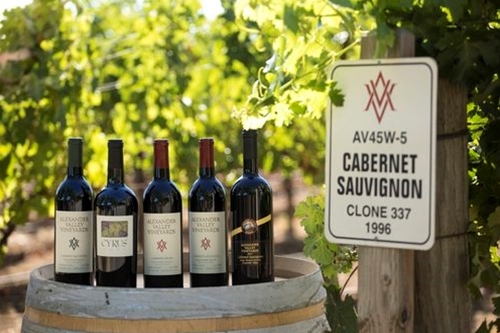 The Cabernet Club offers an opportunity to focus on the wine that made AVV and the Alexander Valley famous. In the late 1960s, the Wetzel family bottled a few cases of Cabernet Sauvignon for friends and family. Those first few cases of homemade wine inspired the vision for Alexander Valley Vineyards and our flagship wine, Cabernet Sauvignon. Our new Cabernet Club celebrates that tradition. We also include one of Cabernet Sauvignon’s parent grapes, Cabernet Franc, to complete the family. To finalize the purchase of this club you will be contacted by AVV via phone call and/or email to confirm your credit card billing information. You may also call Mike Fishback at 707-433-7209 with the information. Our webstore does not store the credit card information you enter at checkout. The club membership will not be active until Alexander Valley Vineyards has confirmed the billing information with you. Once activated you authorize Alexander Valley Vineyards to automatically charge your credit card for 2 annual shipments. 10 bottle club shipments average $180 plus tax and shipping. 20 bottle club shipments average $325 plus tax and shipping. At checkout your online membership purchase receipt will reflect $0 cost and free shipping as you are not purchasing any product today. Charges for the wine, tax & shipping will occur upon each wine club shipment. You may cancel your membership at any time after you have been a member for a year. Early cancellations are subject to a $50 cancellation fee. If you have any questions, please contact Wine Club Manager: Mike Fishback 707-433-7209 x 117.